Hello, and welcome! 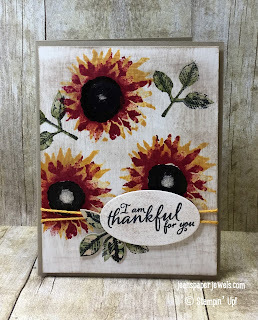 This beautiful card was designed by Traci Evans Langley. She demonstrated the Faux Linen Technique at last weekend's NC Demonstrators event. It is gorgeous in person, and really looks like Linen.